Artificial urinary sphincter is the only device that closely simulates the function of a human biological urinary sphincter and is the treatment of choice in patients with moderate to severe stress urinary incontinence (wears more than 3 pads, describes continuous urine dribble and urinary incontinence at night) as well as in men who have received radiation therapy. 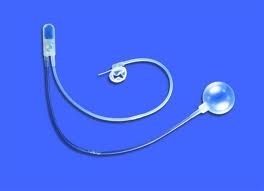 This device has been around since early 1970s and consists of 3-parts; an inflatable cuff that surrounds the urethra, a pressure regulating balloon (filled with saline) that acts as a fluid reservoir, and a control pump (placed in the scrotum). Manual compression of the pump would cause the cuff to deflate and you can then void. However within a short time frame (usually 30 sec to 1 min) the cuff will reinflate due to the transfer of fluid from the pressure regulating balloon to the cuff and you become dry again. Sometimes you may need to recycle the device a few times to completely empty your bladder. Over the last 40 years, this device has proved to be effective, safe and durable. It is associated with excellent patient satisfaction and restoration of quality of life. Since artificial urinary sphincter implant is performed under general anaesthesia, you should have nothing to eat or drink for 6 hours prior to treatment. Regular medications can be taken with a sip of water with the exception of blood thinning agents (eg. warfarin, aspirin, clopidogrel) or non-steroidal anti-inflammatories which need to be stopped for 7-10 days. A mid stream urine (MSU) test is required to ensure the urine is sterile before treatment is undertaken. You will meet your anaesthetist prior to surgery who will take a thorough medical history. Your procedure will be performed under general anaesthesia with anti-microbial cover. The genital area will be shaved and a 10-minute povidine surgical scrub will be performed to minimise microbial skin colonisation. You are usually required to stay overnight to receive intravenous antibiotic for 24 hours postoperatively. Your urinary catheter and surgical dressing will be removed the next morning after your surgery. You will remain incontinent of urine for the time until the artificial sphincter can be safely activated. When you are comfortable and passing urine satisfactory, you will be discharged with 14 days of oral quinolones antibiotics. At home you should rest and avoid strenuous physical exertion for 4-6 weeks. You will be contacted or have an appointment the following week in order to check on your progress. 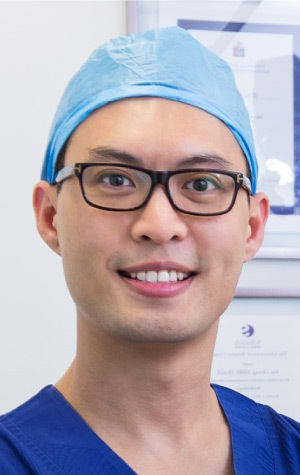 The recycling of the artificial urinary sphincter occurs at your second follow up with Dr Chung at 6 weeks postoperatively. During that visit, you should take simple oral analgesia prior to the appointment as you might experience local pain when the artificial urinary sphincter is activated for the first time.